From birth, a female Maasai child is treated as a second-class citizen. Women neither own nor control property and are confined to the domestic sphere. But our girl’s education programmes are slowly changing perceptions, as I discovered when I met Somoine Jeremiah. Somoine (So-moy-neh) has a serious face for a 28 year old and speaks quietly and calmly. That is until you put her in front of a class of students, when her face lights up at once. If one thing is abundantly clear, it is that Somoine adores teaching. 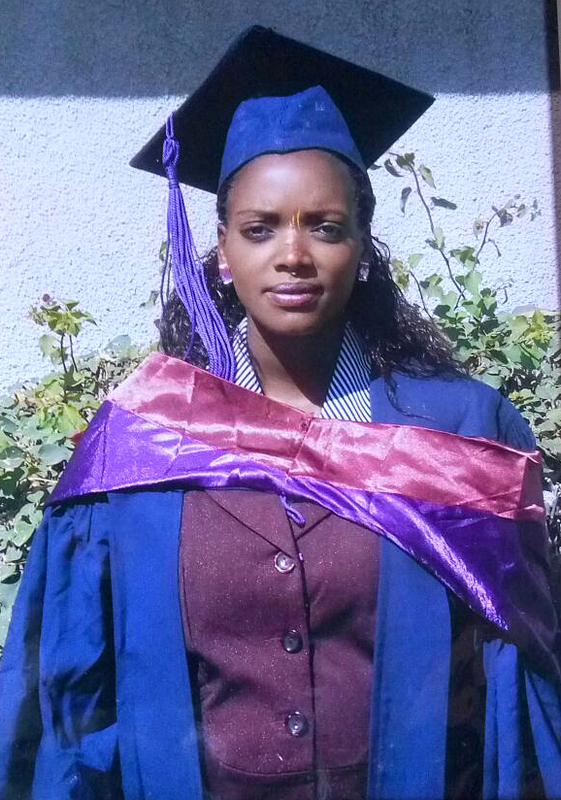 Like the majority of her students, Somoine is Maasai. Emanyatta, which means ‘warrior’s camp’ in Maa, was founded in 1992 by Maasai activist Moringe Parkipuny. 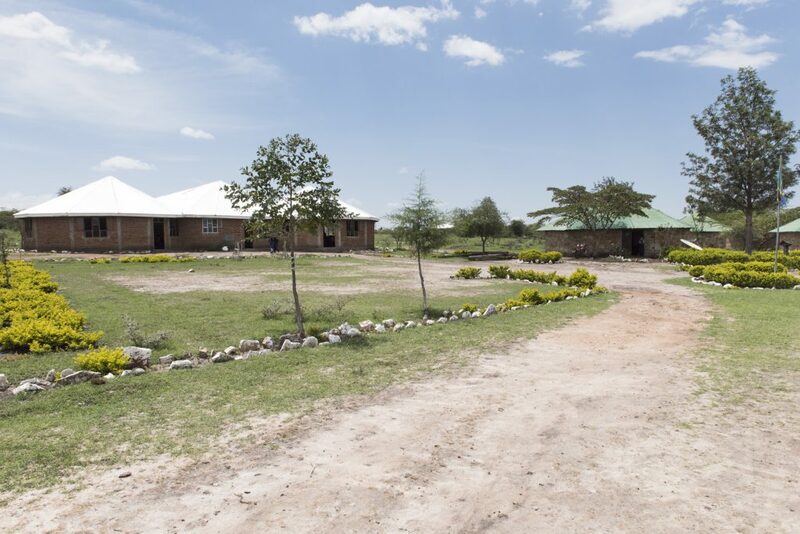 It was the first school to be built in Ngorongoro District – one of the poorest in Tanzania, and was designed to give students an education while maintaining their Maasai values and a focus on pastoralism. The school is also unique in that, these days, the majority of students there are girls. As it is a boarding school, the girls are away from home and therefore better able to resist family pressure to drop out of school to get married. Until recently, girls in Maasai communities did not go to school. 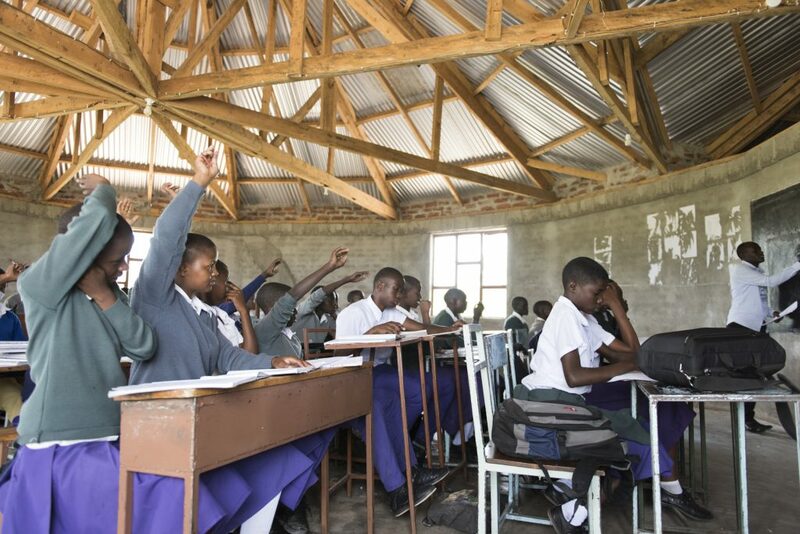 Secondary schooling costs money in Tanzania and an educated girl will receive a smaller dowry upon marriage than a more ‘compliant’ wife-to-be, so in the short term, it doesn’t make economic sense to educate a girl. Somoine’s father was traditional in his attitude towards educating his four daughters. “He used to say to me ‘There is no need to send a lady to school’” Somoine tells me. She has three sisters and all of them were married young in exchange for livestock. One of her sisters was married to such an old man that she was a widow by the age of 16. This is a phenomenon I have encountered a lot over the last few days talking to Maasai women. 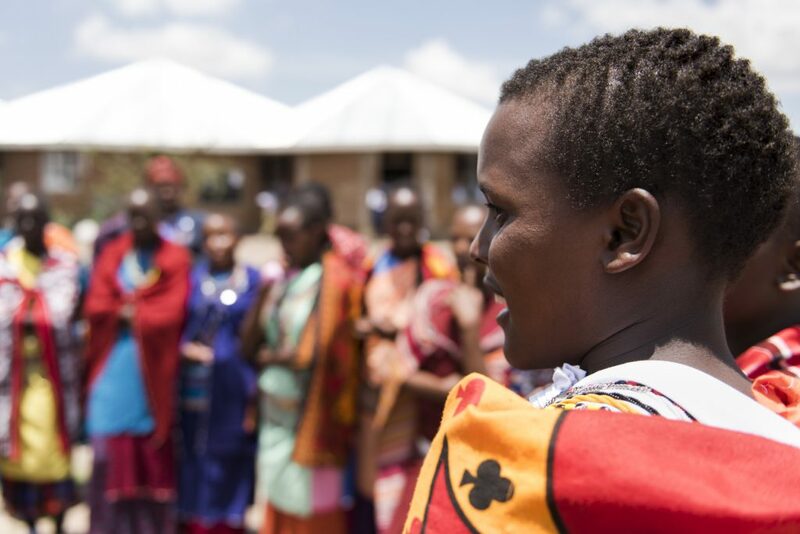 In patriarchal, polygamous, Maasai society, women are seen as dependants throughout their life. They are traditionally not allowed to speak in front of men and girls are viewed as domestic workers and/or financial assets. Girls of poor families have as little say in their destiny as any other, but they are more likely to draw the short straw when it comes to a husband, as a poor girl’s family will be more desperate to see her taken off their hands before she falls pregnant and cannot be exchanged for a dowry. Somoine’s family were poor, but the situation was compounded by her father’s drinking. “Each of my sisters had already been married but it’s hard to know how many cows he had got for each of them. He would come back with cows but he would also come back drunk, so we knew he had sold at least one of them already to buy the alcohol. When Somoine was twelve and coming to the end of primary school, her father pointed to an old man in his sixties who lived nearby with his three wives. Somoine worked hard to make the most of the opportunity she’d been given. The only time she questioned her decision was when her sister became a widow and she realised how far away she was from her family. When Somoine went to see her sister it was worse than she’d feared. Already, the brother of her sister’s husband had taken the house and his property; the livestock they’d had, but he was also arranging for Somoine’s niece to be married. His dead brother’s daughter was now his property and he wanted to exchange her for cattle. She told her sister she would support her. “I said ‘Come on! We must fight!’ I think she thought I was crazy.” Happily, they managed to get some of the goats back and to rescue the little girl from being forced into marriage. In 2006 the Pastoral Women’s Council were asked by the leaders of the district to begin managing Emanyatta. The school was at risk of collapse and it is testament to the respect that the Pastoral Wwomen’s Council had established in under a decade that it was entrusted to them. They rose to the challenge and it is currently the top performing school in the district. All of our sponsored girls now attend Emanyatta. This year, 65% of the students are Maasai girls selected for sponsorship because they are academically strong, financially weak and at a high risk of forced marriage. Instead of being pregnant before their bodies are ready, they have the opportunity to work on their minds, in a safe environment. Twenty years later, the sponsorship programme is bearing fruit. 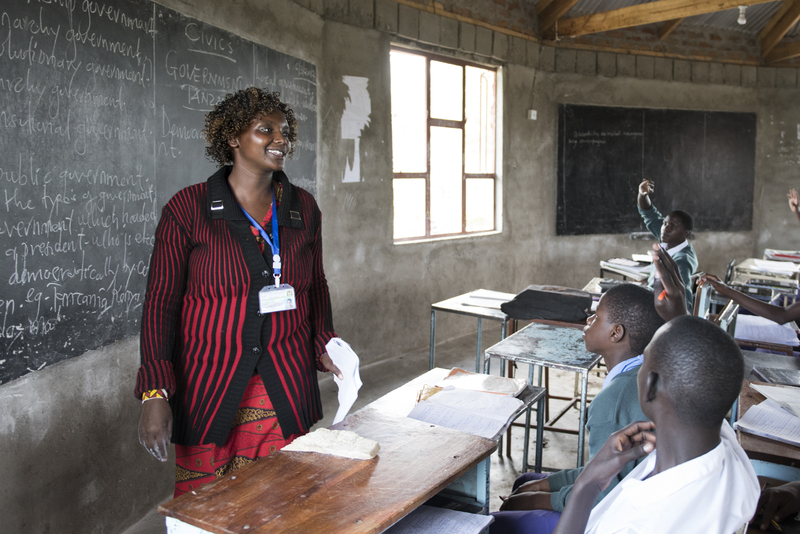 There are Maasai women working, not only as teachers, but nurses, NGO programme officers, accountants, social workers, police officers and entrepreneurs. I was told of one woman who owns an extremely profitable stationery business in Dar Es Salaam, one who works for the District Council’s Wildlife Department, another at the Women’s Economic Empowerment Department. 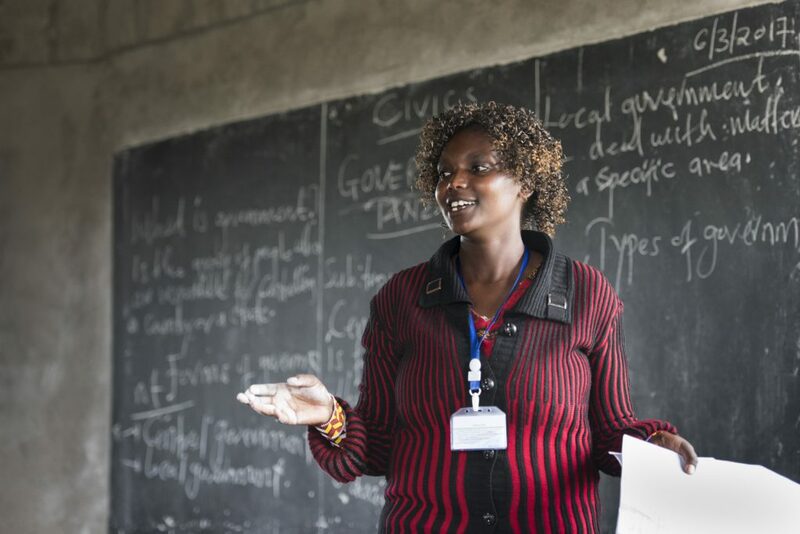 One is a Gender Specialist with an NGO which establishes land rights for pastoralists – a vital issue for the Maasai and one which needs women’s voices. All of these professional women are an example to the current generation of girls and their communities. They are living proof of what can happen when you educate your daughters. 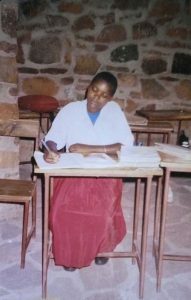 When Somoine took up her teaching post at Emanyatta in October 2013 she was offered a much more lucrative position in a government school, but turned it down. She worked hard and was quickly promoted to Matron before becoming Deputy Head last year. Somoine says she would not want to be anywhere else. She’s honoured to be a role model for the girls at Emanyatta. “Because I was sponsored, my life was transformed. I can meet my needs!” she says with incredulity “Not only for myself, but my family too – and now other people seek me out. People I don’t know. Because I was helped, I am in a position to help them” she smiles ecstatically. I ask how many people she currently helps with her teacher’s salary. And your father? I ask. “My parents are separated” she shrugs “He has not forgiven my mother. But now at least he is proud of the fact that I’m a teacher. I hear from people what he says” she chuckles. He says ‘Don’t worry!” Somoine waves her hand. “’Don’t worry!” My daughter will pay for that’.” Good natured as she is, this does not seem to bother her as it might someone else. “But” she raises a finger “he has changed his attitude towards school. My sister’s little girl – he knows it’s right that she goes to school. He doesn’t say to her ‘There is no need to send a lady to school’. Yes, he’s definitely changed his mind on that”. These days, the Pastoral Women’s Council has upwards of 6,000 members and they help between 200 and 300 girls a year go to school. African Initiatives continues to support PWC’s scholarships, community sensitisation and women’s rights projects. We are planning on continuing the partnership for at least another twenty years.